Having risen to prominence as one third of the Legion & Logam trio, Logam is no stranger to making waves in the musical world. His first non-solo release on Program - vocal roller 'House Of Cards' - caught the rightful attention of some of dance music's most influential tastemakers. In addition to this accompanied success, it has also been Logam's independent talents which have helped him go from strength to strength over the last twelve years. His immense skill has seen him work in collaboration with old-school veteran Mayhem and set up his own label (Santoku Records). But now he's set to release a record which is the latest addition to Program's highly sought-after catalogue. 'Back & Forth' features the fierce, gutsy vocals of Armanni Reign, his signature tones nestled in amongst the tune's ever-developing, carefully constructed multiplex of audio. Concurrent with the rising tension and complexity of the soundscape, they intensify: Reign's voice stretches to its furthest heights where it underpins evocative builds towards some mighty crescendos. Despite its simple lyrical base, the tune's speedy, kicking percussion conjures up an otherworldly level of liveliness: its core is punctuated by sawing, deep-bass dips and powerful, punching synth notes. From more exotic beginnings which feature subtle Djembe drumbeats, the sudden interjection of a crisp, tumbling bassline acts as a sign of what's to come. 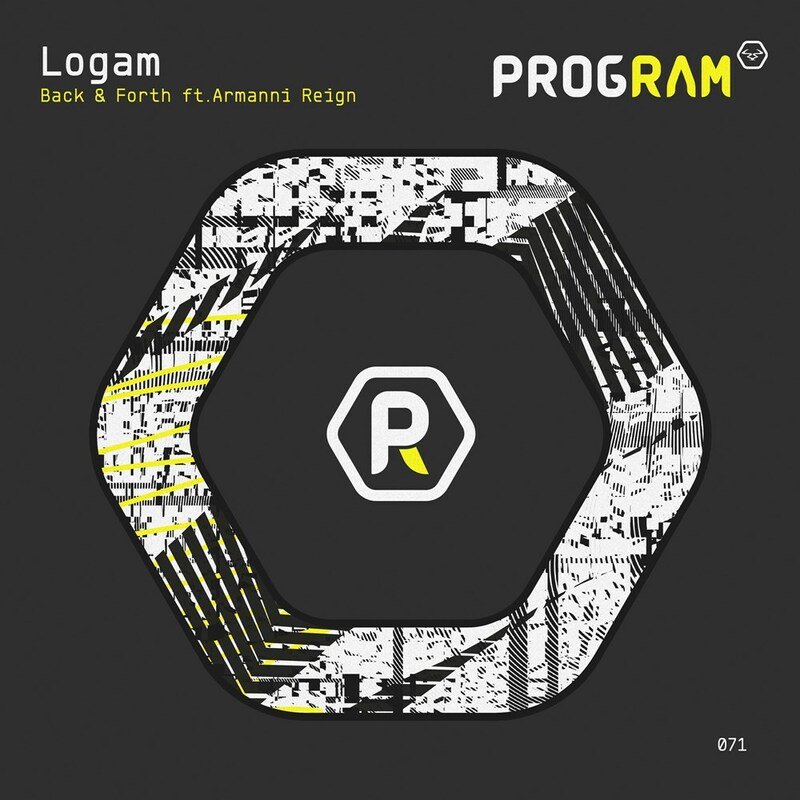 Logam throws us expertly into the deepest, darkest corners of the drum and bass realms, from which there's no escape bar an evocative, still-frantic central break. 'Back & Forth' is just one example of the artist's ability to deliver abounding versatility with every new addition to his musical collection. So once again, it's to time get with the Program and prepare yourself for massive energy whilst into the limitless world of Logam.